I had expected more. More meaning, more connection, more intimacy. The women on stage looked peaceful, serene, as though they had something to say but there were only words, weighty words perhaps, well pronounced words, words we could reflect on perhaps but words not used to connect or to communicate. Words that did not connect to become sentences in a piece that did not connect with me. 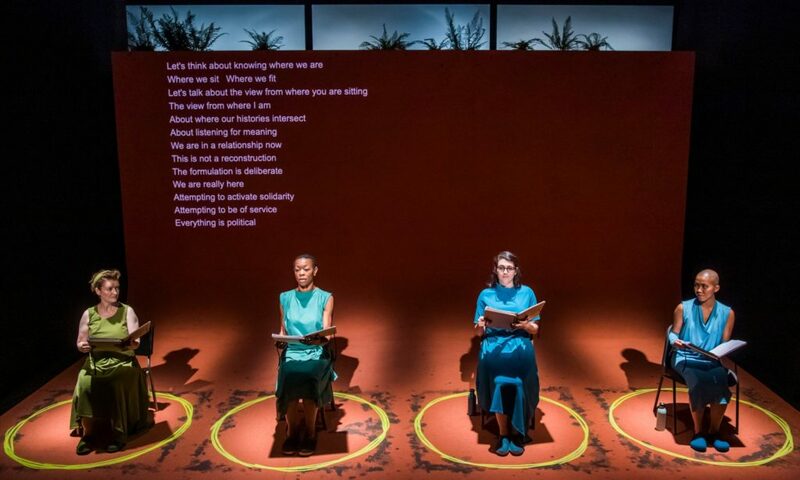 Maybe that lack of connectedness was the point, as the piece (not sure I can call it a play) was about the medieval practice of anchoritism where women withdrew from the world and essentially entombed themselves in small spaces to better know God. Maybe the piece was structured to evoke a sense of fellow feeling with these anchorites who were attracted by the concept of being alone with God and found themselves merely alone, trapped, despairing, with the deadening reverberations of their own thoughts. If this was the intention then it worked and my not enjoying it was perhaps the point.